The Malaysian island state of Penang has character and charm—arguably more than Singapore, its former brother state in the British Crown Colony of the Straits Settlements, which also comprised Malacca. The modern sovereign state of Singapore is marked by neatness and efficiency; Penang, however, retains a more historical and colonial flavour. The old colonial area in the north-east corner of Penang island remains as it was 50 years ago, with wide, clean streets and fine century-old official buildings. The British colonial legacy is strong in Penang’s architecture and institutions. It is lovely to walk from the Eastern & Oriental Hotel, past the Assumption Cathedral, St George Anglican Church, the Courts buildings, City Hall and the Town Hall to the World War I Memorial, and along the Esplanade surrounding the Padang, taking particular notice of the historic and well-preserved Fort Cornwallis and the Clock Tower. 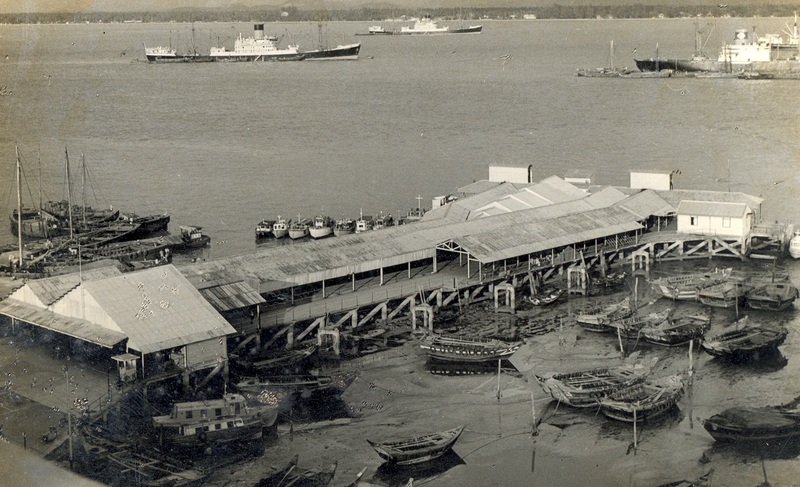 Further east are the Swettenham and Church St Piers, both closed to pedestrians nowadays, the Tanjung City Marina and the Ferry Terminal. It is a long walk down Pengkalan Weld to the Clan Jetties (full of wooden huts). Beyond Georgetown is a wonderful scenic drive around the north, east, south and west sides of the island, now much developed since 1964. The most notable places are Tanjung Bungah, Batu Ferringhi, Balik Pulau and Teluk Kumbar. Such a drive may take in the delightful Botanic Gardens and Penang Hill. It is easy to reach the gardens, which are spacious and beautiful. Penang Hill, however, is very steep and access is by a funicular railway from sea level. It is well worth going up the Hill, which is a complex of several levels and circuits with superb views from all points. There is also the very fine racecourse of the Penang Turf Club, established in 1864, and as Penang’s population is predominantly Chinese—many of them seem to love gambling—horse racing survives despite being frowned upon by the Malaysian government. Penang abounds in beautiful historic buildings, including the Kek Lok Si Temple, Kapitan Kling Mosque, Penang Museum Hotel, Suffolk House, Cheong Fatt Tze Mansion and the Peranakan Mansion. The Peranakans (Babas and Nyonyas) are Straits Chinese who took Malay wives and adopted British colonial lifestyles. The Baba Chinese have long been associated with tin mining and with supplying finance and Chinese labourers to mining enterprises. Highly recommended accommodation in Georgetown is in the historic Eastern & Oriental Hotel (the ‘E & O’), which originally was two adjacent hotels, the Eastern and the Oriental. It is magnificent, historical, classical, spacious, stylish and most comfortable. The hotel has two buildings: the historic Heritage Wing and the newer annex, the Victory Wing. Most of the food and drink are served in the Victory Wing, although the Heritage does have a historic bar and restaurant ‘Sarkies Corner’, named after the Armenian Sarkies brothers who founded the hotel. Both wings offer beautiful views across the water to the Malaysian mainland and a prominent mountain. Penang island has always been highly cosmopolitan. Chinese, Malays, Indians, Jews, Parsees, Arabians, Europeans (of whom the largest group was British) and many Eurasians have all contributed to its trade, development and character. For example, the German commercial community was very active and prominent in Penang’s early colonial history, when they were major traders and civic leaders. Similarly, Tamil Chettiars played an important role in providing credit for Penang’s business community. At the turn of the 20th century, Penang (including Province Wellesley) had a population of around a quarter of a million, almost double that of 30 years earlier, reflecting its rapid economic growth and migrant inflows during the three decades. Penang’s modern history is not widely appreciated. Penang was the first Malayan possession of the British colonists in 1786, when the island was secured by the British East India Company through a treaty with the Malay state of Kedah—Province Wellesley (now Butterworth) was added to it in 1798. Francis Light, a country trader who had commended Penang as a desirable location for a trading settlement, was appointed by the Company, headquartered in Calcutta, to be Superintendent of the island. Malacca, which was in Dutch hands until 1795, rapidly ceased to be a serious commercial rival. Integral to Penang’s development and prosperity were the activities there of several great British trading companies—notably Bousted & Co. and Guthrie & Co—and banks—primarily the Chartered Bank and the Hong Kong and Shanghai Bank. As a free port, Penang was an important trading post between India and China, as well as for the Malay peninsula, until later eclipsed by Singapore after the advent of steamships and telegraphy, and the opening of the Suez Canal in 1869. Penang was the original capital of the Straits Settlements until 1833, when Singapore became the capital. 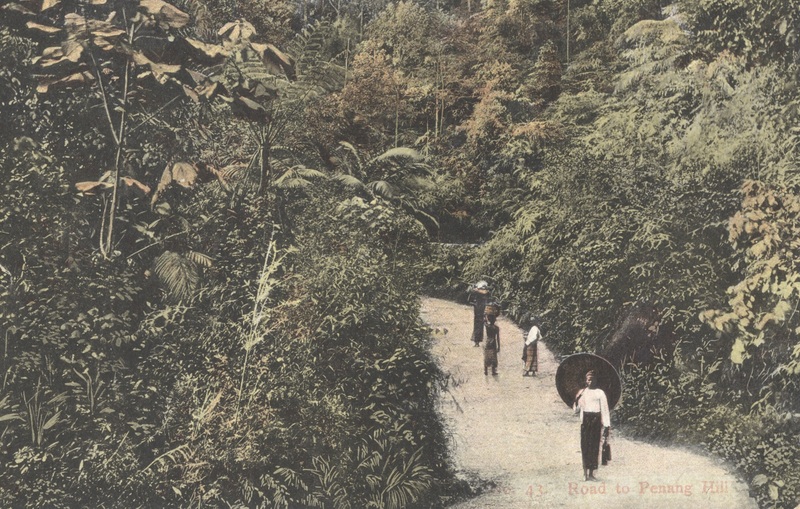 Inevitably, rivalry was fierce between Penang and Singapore, and the shift of the Straits Settlements governing authority to Singapore inevitably led to a decline in the status and commerce of Penang. In 1872, the Chairman of the Penang Chamber of Commerce demanded that Penang be separated from the Straits Settlements government and be given its own Legislative Council. Much of the dissatisfaction stemmed from the common perception in Penang that Singapore got more than its fair share of the Straits Settlements’ public works and revenue. Still, the Chambers of Commerce of Penang and Singapore achieved considerable success when they acted jointly. Public meetings organised by the Chambers opposed and thwarted the 1854 attempt by the Indian authorities to impose rupee coinage on the Straits Settlements. Similar joint petitions blocked the governor’s 1856 attempt to impose port duties and the 1860 attempt to introduce income tax to the Straits. In the early decades of the 20th century, Penang’s exports were tin ore, rubber, hides and other produce; the more profitable imports were mostly piece and rough goods, particularly brandy. 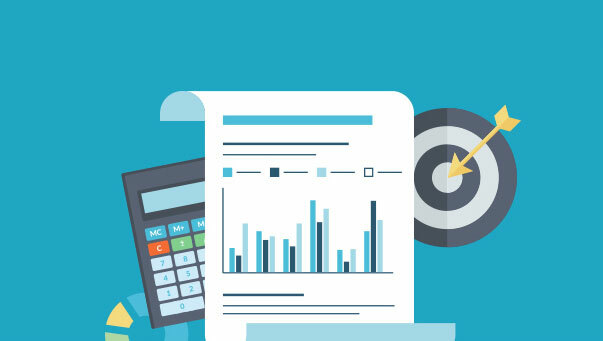 At that time, Penang’s trade was highly volatile, with booms and reversals reflecting the economic health of its international trading partners. In 1907–1908, for example, Penang’s trade suffered when the import market dulled and many traders were caught with excess stocks. Penang remained an integral part of the Straits Settlements, until the Settlements were dissolved on 1 April 1946 and, with Malacca, was grouped with the Federated and Unfederated Malay States as a part of the short-lived Malayan Union—Singapore was excluded from the Union and became a separate British colony. Penang subsequently became part of the Federation of Malaya, which was granted independence in 1957 and then became part of the new nation of Malaysia in 1963. Fortunately, however, Penang’s colourful colonial and cosmopolitan history lives with us still. Drake, P. J. 2018. Merchants, Bankers, Governors, British Enterprise in Singapore and Malaya, 1786–1920. Singapore: World Scientific Publishing. Flower, R. 2009. The Penang Adventure: A History of the Pearl of the Orient. Singapore: Marshall Cavendish Editions.